Isn’t this setting frightening? 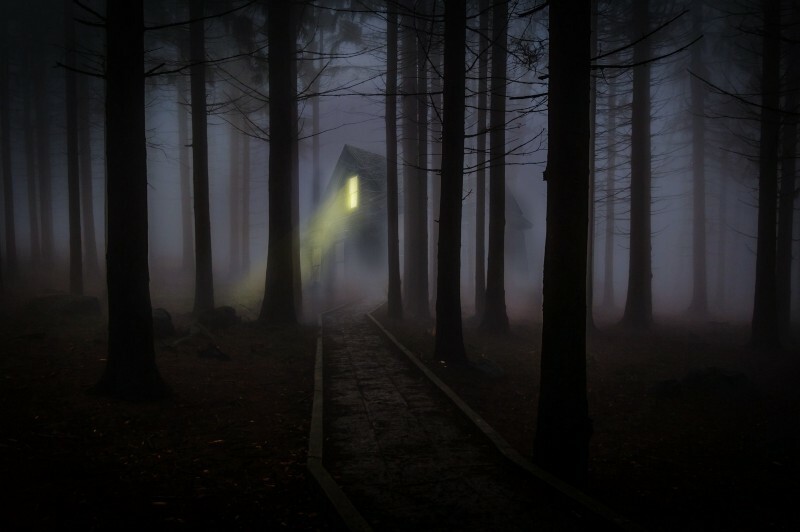 Want your readers to feel frightened too? Let’s look at how to make the most of your settings and avoid plot holes. Think of your setting not just as a location of a scene but as a way to add depth to your story. Your readers should know where the characters are, what they feel (using the senses), and when things are happening. Settings can cause a plot hole by confusing the reader with inconsistent locations, empty stages, or timing issues. An inconsistent location can happen if a reader doesn’t understand where the characters are or doesn’t understand the transition from one location to the next. An empty stage occurs when a reader can’t visualize the setting. A scene that doesn’t contain objects or senses will appear flat to a reader. Picture two actors on a stage without props. The sensual experience will be lacking. Timing issues can also cause a plot hole by confusing a reader. If we know in one scene it takes 30 minutes for a character to drive from home to the office, but in another scene, they only take a few minutes, we have a plot hole. 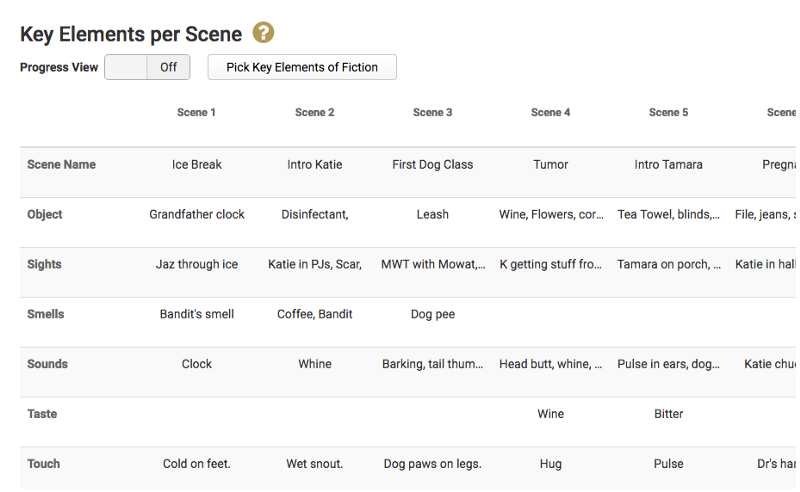 In Fictionary, use the Setting Elements per Scene report to make sure you’ve been consistent with your locations throughout the novel. If you’ve moved locations from one scene to the next, check the reader will understand this. You can see below, that my story changes location in Scene 3. I’ll go back to the Evaluate page in Fictionary and re-read scene 3 and make sure the change in location is clear to the reader (is the scene setting anchored? ), and does it make sense to use that location at this time in the story. Note that you can use the above report to help solve plot hole problems caused by timing, too. Are you using senses and objects to fill the stage? You’ll know quickly if your stage is empty, and an empty stage means unengaged readers by looking at the objects and senses in the Key Elements per Scene report on the Visualizepage. You can keep track of the time in which a scene takes place. You can also see which scenes important objects appear in. If you want, you can even add a row that shows which characters are in the scene, too. Then it’s clear whoknows about the objects and when they know about them. A writer imports a manuscript in MS Word .docx format. Fictionaryautomatically creates a character list, links characters to scenes, plots word count per scene, and draws a story arc. The writer enters data regarding each scene, evaluates and edits the manuscript based the reports, and then exports the updated manuscript. The reports are dependent on the writer’s input and are created specifically for each manuscript. There are rewrite tips associated with each key element of fiction if you get stuck and need guidance. Fictionary is designed for the serious author who wants to produce a high-quality manuscript. Download our free eBook, Story Editing: 15 Key Elements of Fiction To Ensure Your Story Works and learn how story editing is all about evaluating the major components of your story. Try Fictionary for free. The first 14 days are on us. No credit card required.